Criminal Courts and felony Cases, trials and proceedings, can be an incredibly tricky affair. Felony meaning in Urdu is (jurrm). Felony charges depends on the activity which he had done. It is vital to know what’s going on at all time, and to be in the loop of your case. Our Criminal Lawyers in Pakistan have excellent track in successfully defending our clients and prosecuting offenders. 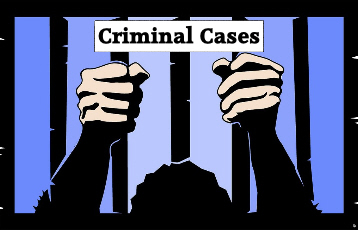 What kind of Criminal Cases do we deal with? And according to criminal law in Pakistan these are some common cases that we handle mostly. Our Criminal Lawyers are available 24 hours a day to assist with Police, Arbitration and Court Matters and can come to the Station/Court of your requirement. Our Lawyers also abide by our “24Justice.pk Fixed Fee Policy” which means you do not have to worry about any unknown and hidden extra charges. Previous post: What you need to know about Khulla / Khula Process and Procedure? Well this post abslutely made me think! Thank You-I hadn’t thought of things this way otherwise.